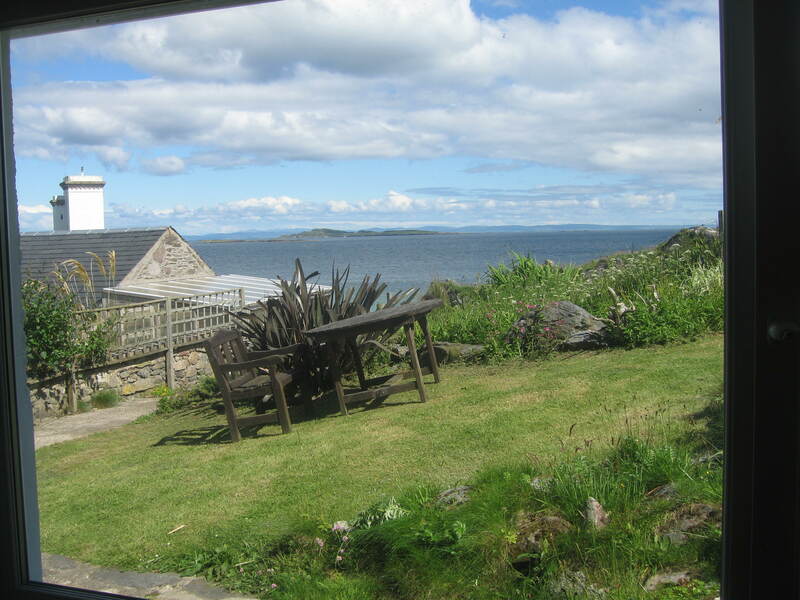 The cottage is a detached bungalow with a beautiful garden from which you can enjoy a breathtaking view of Port Ellen and sea. More photos will be published on the Facebook. Please clickthe following link http://www.facebook.com/thelittlecottageinislay. 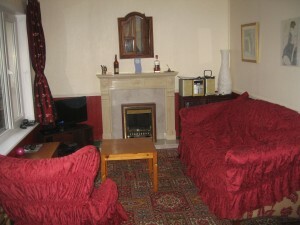 The sitting room area has a television with a built-in DVD player and HD Free-Sat. This TV also has an Ipod docking station. There is a CD and cassette audio system. This photo is the view from the sitting room window. There is Free Internet access (Wi-Fi). It has an open plan kitchen and sitting room, with electric hob and oven, microwave, fridge, and washing machine. The main bedroom has a king-size bed, wardrobe, and chest-of-drawers. 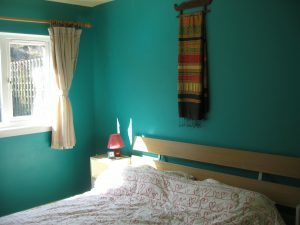 The right photo is the main bedroom. The second bedroom has a guest bed which has a small single bed mattress underneath. The guest bed can be used as a single bed, two single beds or a king size bed. There is a bathroom, with shower. All rooms have electric heating and the price includes electricity.